Easter is coming!!! This year, Good Goods is celebrating the Easter with three collections of delicious Easter eggs, chocolates and cookies. All products are made in Hong Kong and Couverture Chocolate from Switzerland is used which contains natural cocoa butter. From now on to 12th April, you may enjoy the premium and free delivery to one location when the total purchase amount is over $1500. Let's celebrate Easter with quality goods and support local production. Please contact 2876 2442/2876 2439 or mail to goodgoods@hkcss.org.hk for any enquiries. 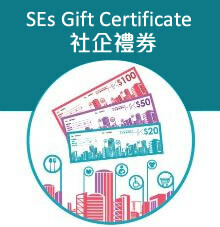 Good Goods is a sales platform operated by HKCSS-HSBC Social Enterprise Business Centre (SEBC). We aim to select premium products with social meanings to clients and promote the concept of responsible procurement.